This three song demo from Shattered Red is a good mixture of rock'n'roll enhanced by a bit of heartfelt soul searching. I found the music solid in some areas and a little too wimpy in others. However, with only three songs to listen to, I feel I cannot get the full sensation of what this band is about. I think Shattered Red may have something more to offer but these three songs just don't quite do it. The band definitely has promise, however, and I hope to hear more soon. 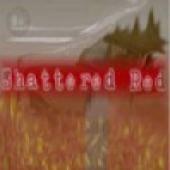 For more information, check out http://www.shatteredred.com.